"Is now the time for fighters everywhere to return?" It’s been months since the release of Street Fighter V. As many players know, the latest entry to the Street Fighter franchise had a rough start. A smaller cast of characters, lack of game modes, frustrating connections, a heavier focus on more competitive gameplay, all wrapped up in what many players thought of as an incomplete experience. Now, after the launch of one final DLC character, I thought it was the best time to hop back into the fray and see how the world of Street Fighter V has changed. The latest update for Street Fighter V will be the biggest since March where the game opened an in-game shop and 8-player lobby system. 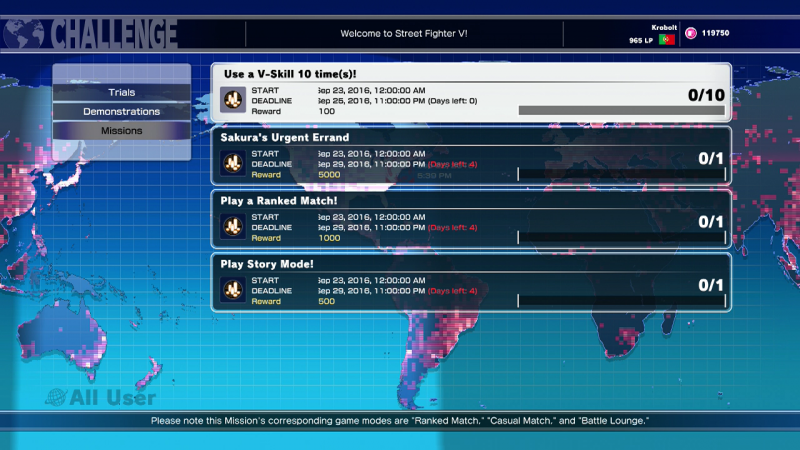 Featuring new features and content, the new update proves that Street Fighter V can still reach a wider audience. https://www.youtube.com/watch?v=3BlgaHi7FHE Headlining the update is the release of everyone’s favorite speedo wearing Illuminati member, Urien, making his first appearance since Street Fighter III: 3rd Strike. In Street Fighter V, Urien maintains his moves from Street Fighter III while having enough new skills to remain fresh. His Metallic Sphere is faster to execute and charge to deal more damage. Other moves include his Violent Knee Drop for the aerial coverage and Chariot Tackle for fast, close up hits. His V-Skill is his Metallic Aura, which lets him absorb a single hit during his next forward rush attack. His V-Trigger is his signature Aegis Reflector. This attack allows Urien to deflect projectiles while also acting as a combo extender, opening new opportunities for quick combos. Dominant Crush is Urien’s Critical Art where he creates a close devastating thunder blast. [caption id="attachment_88363" align="alignnone" width="800"] Holding light punch, medium kick, and heavy punch while the match loads will unlock Urien in all of his speedo wearing glory. [/caption] Owners of the season pass will get to play as Urien, along with his premium outfit, right away. Those who don’t own the season pass can purchase Urien for 100,000 Fight Money, or $5.99 real world currency. 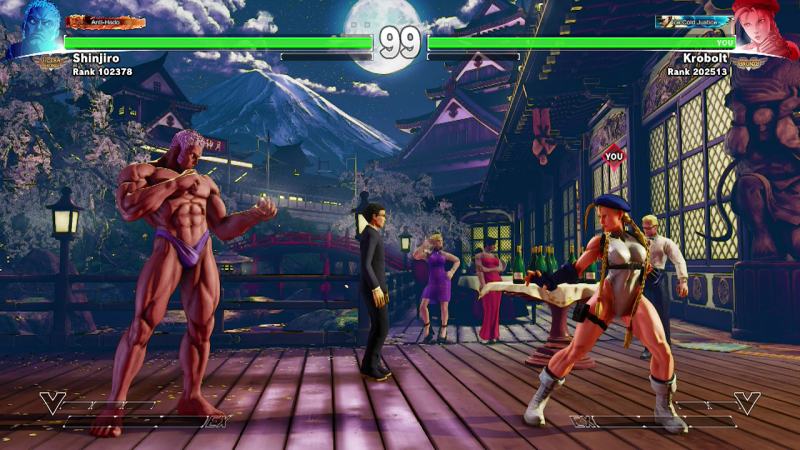 Along with Urien, the September update brings a new mode for players to earn more Fight Money. New daily challenges has been introduced, rewarding players bonuses ranging from 100 to 5,000 Fight Money. Daily challenges are timed, so players must check in regularly to take full advantage. [caption id="attachment_88361" align="alignnone" width="800"] A glimpse at some daily challenges available[/caption] Players can also start playing standard versus matches against CPUs, allowing players to test out their skills outside of competitive. Giving players this option will appeal to the more casual audience who would rather avoid competitive online. Finally, all of the launch stages now have environmental knockouts, adding cinematics in between rounds. Finishing off a player near the edges of the stage initiate a quick scene incorporating the world around you. These environmental KOs are goofy and add a fun touch into the competitive game. Nothing beats watching your character crash into a hot dog stand one round, then fight through the next with a hot dog on their head. [caption id="attachment_88364" align="alignnone" width="800"] An example of a new environmental KO. [/caption] Players can purchase new outfits, stages, and colors in the in-game shop. Colors 3-10 are now available for purchase (without the need to play Survival) and will be available free for season pass owners. Street Fighter V still has a currency problem when it comes to the in-game shop. Fight Money takes too long to earn considering most stages can cost up to 80,000 and characters will set players back 100,000. How long does it take to earn 80,000 Fight Money? About 160 wins in ranked matches. Considering some characters have more than just one costume makes these premium items even more disappointing. Street Fighter V still has a way to go to justify the $60 launch price. I like Street Fighter V and I’ve enjoyed my time with it, but let's face it some of these new features should've been included at launch. Fighting CPUs are just now finally included now? Really? Hopefully, Capcom will learn from their mistakes moving forward into the next season.